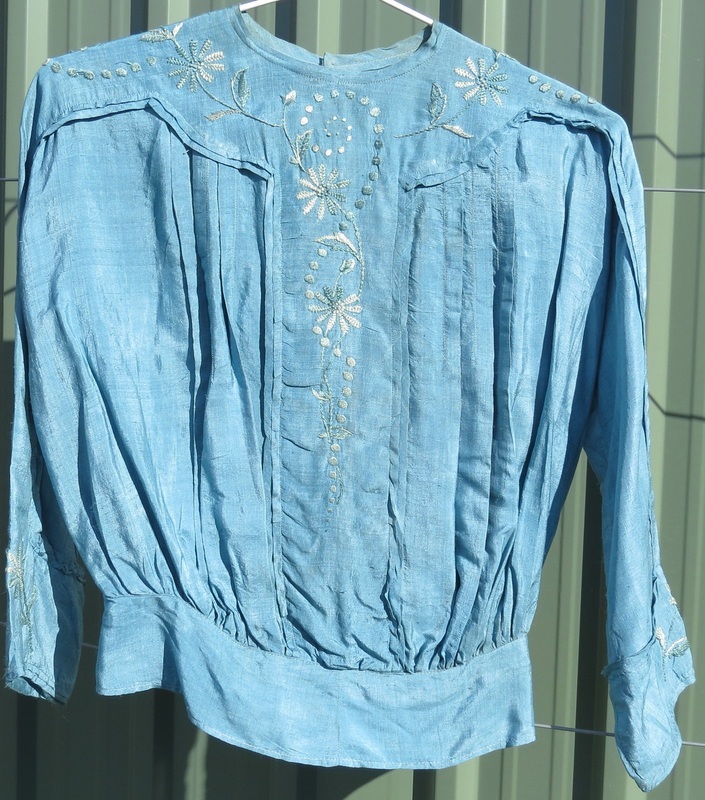 Edwardian S 3; separates. Because no two whites are the same, we suggest pairing a white with a colour. Pigeon-breast styles should be worn loose about the bust. Esh10. B 102, waist 66, hip 105, length 70cm. Net with mousseline de soie, embroidered with butterflies. Purchase $85. Esh11. B 90 (should be worn loose), W 64, length 44cm, sleeve length approximately 41cm (dolman sleeve). 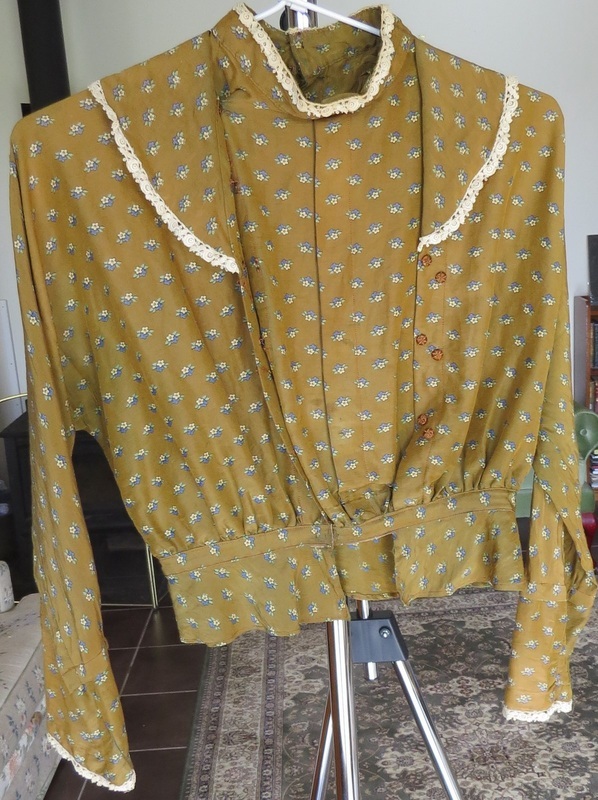 Daytime blouse, has had some repairs, some variation in colour. Purchase $30. Esk2 Waist 64cm. length 110cm. Silk (probably raw silk), embroidered with wheat-sheaves and flowers. Purchase $135. Esh12 B 94, W 62, length 47cm. 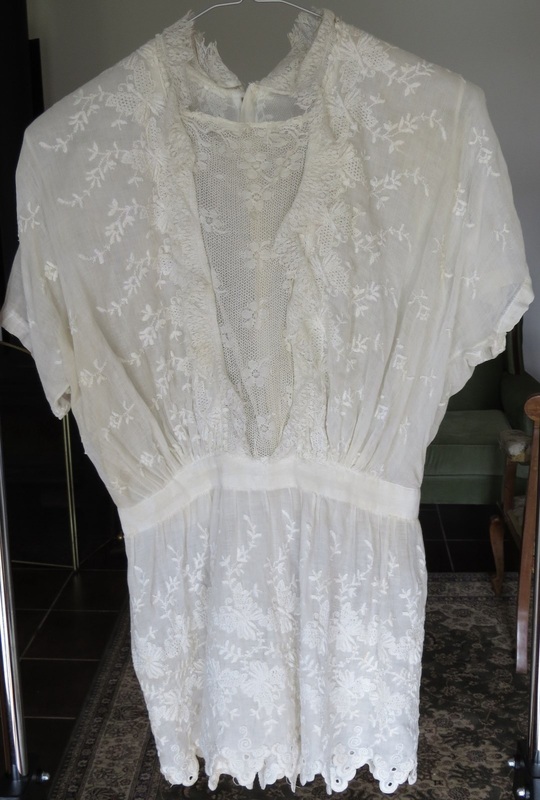 Silk with Arts & Crafts-inspired embroidery, 1910-12. A few tiny holes, some variation in colour. $45. Esh13 S-M B 93 (to be worn loose), W 88 (meant to be reduced by ties), length 46cm, sleeve length 42cm. 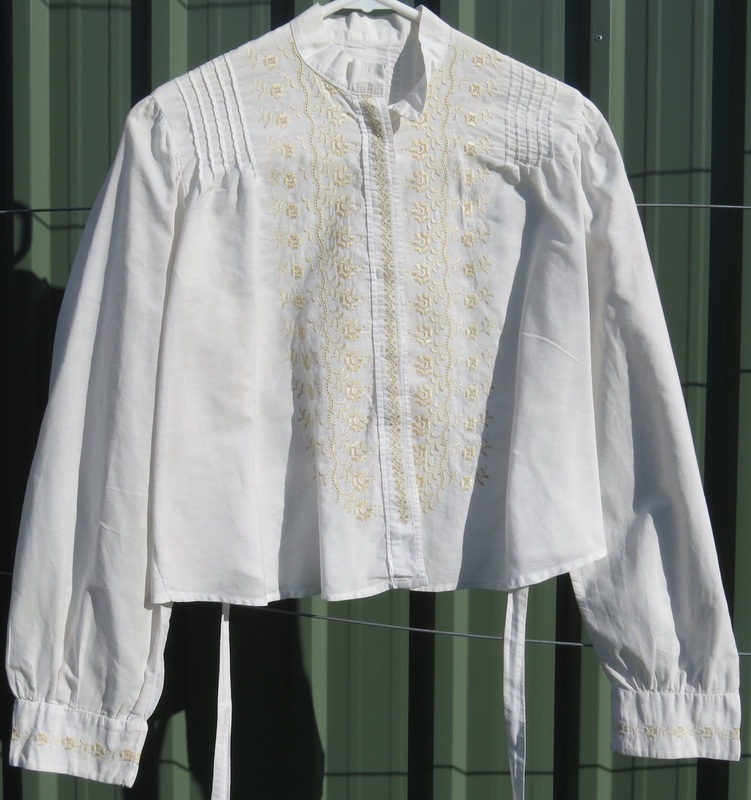 Yellow embroidery on front and cuffs. Purchase $55.